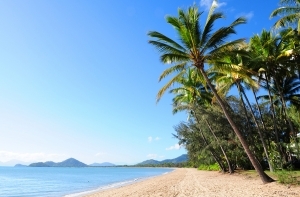 What we eat and drink influence how we deal with sun exposure. Some of the following may support a healthier relationship with sunlight, especially in the summer months. EAT SUNNY: certain foods support resilience from within, helping our body deal with the sun (and benefit from healthy eating in the process). Foods rich in vitamin D (organic raw dairy, fish and plant oils and fats), leafy greens and colourful berries and fruit are just some ideas. RAW JUICES: boosting, detoxifying and wonderfully refreshing, they support overall health resilience. VITAMIN D: a good quality supplement may help increase resistance to sunburn (it does not replace other sun protection measures, though). HYDRATE: we lose more water through sweating in hot weather, so regularly sipping filtered water is advisable. CAUTION: you can still sunburn in the water or if it is cloudy. CONTROLLED EXPOSURE: take sun exposure in bite-size chunks and use a timer to slowly build up. 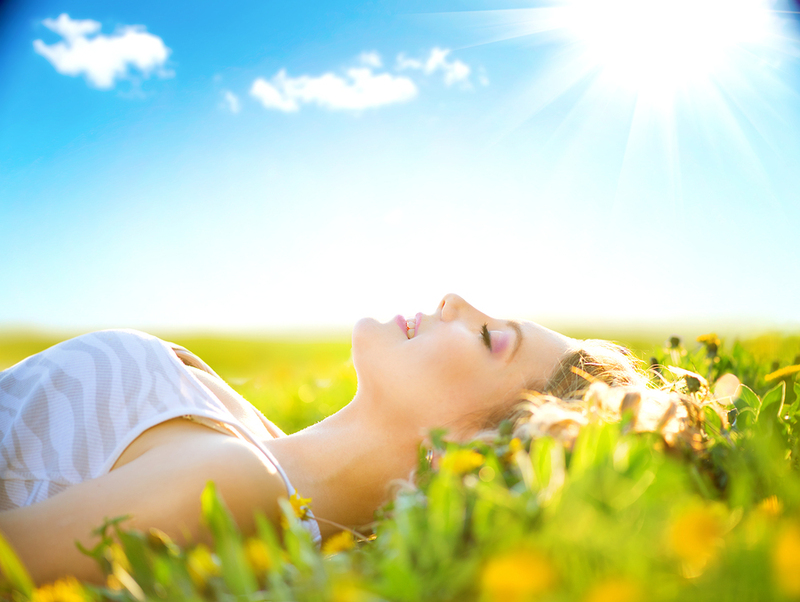 EXTERNAL SUPPORT: research non-toxic alternative sun protection. Some plant oils have naturally high SPFs, whereas there is research pointing to commercial sunscreens contributing to skin cancer. Seek the advice of a naturopathic practitioner, especially if you exercise or have other health needs, before you expose yourself to sunlight. How can I cleanse my body post festivities? 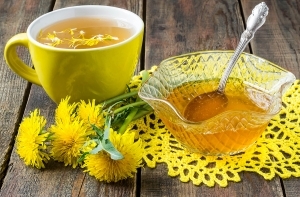 Replace alcohol, caffeine, fizzy or sweetened drinks with cleansing herbal teas such as nettle or dandelion, and sip two litres of pure water per day. Eat more veg! Buy a vegan or vegetarian cookbook to get inspired, and aim for a minimum of three vegetarian main meals per week. A high-powered blender is a great investment, allowing you to experiment with raw smoothies to get your minimum of ‘5 a day’. Raw beetroot, berries, a little chilli, water and ice make a winter smoothie with a delicious zing. Soups, too, are a great way of getting your veg. Add warming spices such as ginger and turmeric. Go organic if you can. Get moving! Your liver requires exercise to process hormones and other chemicals in your body. Exercise also raises your feelings of wellbeing and control. Saunas and dry skin brushing can both aid detoxification. What herbs and spices can help fend off colds and flu? Siberian ginseng root, ginger root, and cinnamon sticks can be especially helpful. 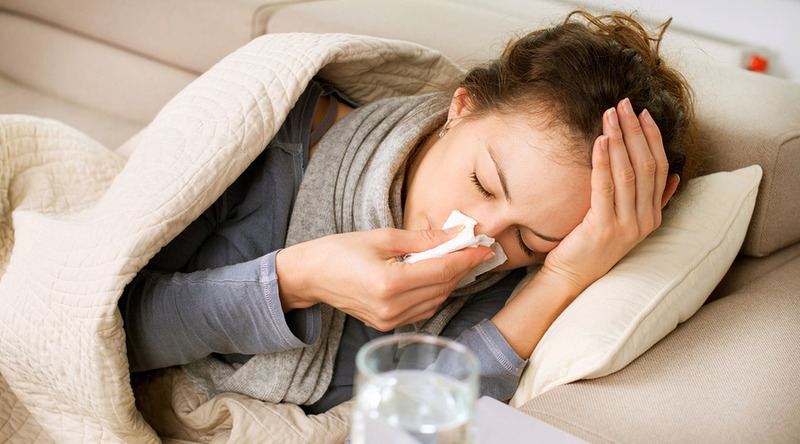 They increase the body’s ability to resist infection, lessening the likelihood of picking up colds. Ginger root’s anti-viral and anti-bacterial properties are most effective when it is freshly grated and eaten raw. Simply chew a teaspoon of it. It is often twinned as a herbal tea with cinnamon to warm and detoxify. Elderberry appears to inactivate any given flu and virus strain. It helps to shorten and reduce symptoms and its severity. Elderberry has been used as a home remedy syrup for centuries to treat tickly coughs, colds and fevers and if taken at the onset, nastier versions like flu, bronchitis and pneumonia are less likely to progress. It is good taken throughout the colder winter months on a weekly basis, and daily during a cold. See your herbalist for personalised advice. Yarrow can be bought loose, (dried and ground) or as a tincture (liquid extracts) from herbalists and online shops. If loose, use yarrow, peppermint and elderflower to create a powerful anti-viral tea. Peppermint is also a great herb for the chest and will be useful to help with a lingering cough. Other ways to ingest the herb are to boil the herbs in water, remove from the heat and then inhale the steam. 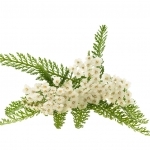 The cheapest way to attain the plant is of course to track it down in a meadow or field, but make sure it’s the right plant (Achillea Millefolium) and that it hasn’t been contaminated in any way. Yarrow is an extremely versatile herb, perfect as an immune booster or digestive aid. It’s also good as an astringent (helps to stop bleeding after minor cuts). It helps to ease upset stomachs, particularly diarrhoea, heavy menstrual bleeding, and can help to strengthen the skeletal structure. Traditional uses include inserting a fresh leaf in the affected nostril to stop a nosebleed. To sooth the respiratory tract, combine yarrow with a mucilaginous (tissue soothing) herb such as marshmallow root or liquorice root. For personalised advice, which is always best, consult a Herbalist. A Herbalist who has also trained as a Naturopath is additionally qualified to provide dietary and lifestyle advice. In an age when mainstream medicine has become complex and ever more technical, Herbal Medicine can offer a simple, natural and holistic way to support the body’s innate drive to heal itself. By Herbalist and Iridologist Peter Jackson-Main, who is CNM’s Course Leader and a Lecturer in Herbal Medicine. Find out more about CNM’s Herbal Medicine Diploma Course here. Find out more about CNM’s Short Course. Herbs for Everyday Living here. 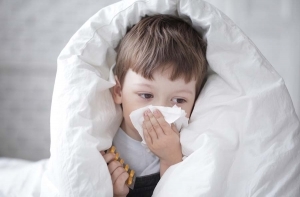 Colds and ‘flu can still be a problem at this time of year, with miserable symptoms ranging from fever and fatigue to nasal and respiratory congestion and lingering coughs. Yarrow is an antiviral herb frequently recommended by herbalists for cold and flu symptoms. It is a ‘diaphoretic’ which means that it is brilliant for sweating out the virus in feverish stages and eliminating the infection more swiftly from your system. Please note, not to be used when pregnant. How can I keep up my protein levels on a vegetarian diet? If you eat dairy or eggs you are likely to be getting ample protein in your diet. For strict vegetarians or vegans, there is plenty of protein in combining nuts, legumes, seeds and grains. There are surprising amounts in some vegetables too! Protein is made up of amino acids which help perform many functions in the body. 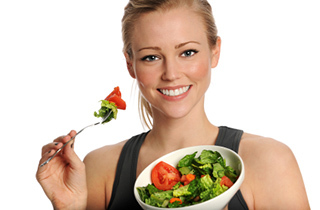 A vegetarian diet may mean you have lowered intake of certain amino acids; lysine, methionine and tryptophan. Making sure you have the four different types of the major vegetarian protein sources through the day will help keep your amino acid ratio more favourable. It doesn’t have to be within a single meal. Ideally as a vegetarian you should be soaking your beans and nuts to reduce unwanted phytochemical and maximise absorption. As with any diet, focus on whole, organic foods. Some foods to be sure to include for protein; peas, quinoa, buckwheat, chickpeas/hummus, organic tofu, spirulina, spinach, bok choy and sea vegetables. Aim for 45-60 grams of protein per day for a healthy person. This tip is brought to you by Gemma Hurditch, Naturopath. 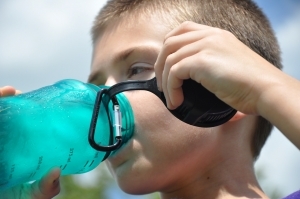 How can I ensure that my children stay well hydrated during the hotter months? For some children, drinking water is not a natural habit, but it can be encouraged. Kids generally respond well to exploring, learning and then putting into practice their new understanding, rather than drinking water just as a directive from you. Depending on their ages, could you investigate with them the importance of water and what it does for the body? Other encouraging ideas include sticker charts for each glass drunk. Whenever you think it appropriate, a reward for drinking their quota might be purchasing a drink bottle of their choice, or another small incentive such as getting to choose which park to visit. Keep rewards simple and health related so you don’t mind continuing the trend. Rewards such as chocolate or money are not helpful. Children’s taste buds can be more sensitive, so it could be that your tap water doesn’t taste good to them, a filter could change this. Adding half water to fresh juices and smoothies, offering watery fruits like watermelon, and serving cooled herbal teas such as peppermint can also increase their fluid intake. Adding sliced fruit and herbs to drinking water can also improve compliance! 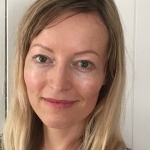 This reader question, answered by Naturopath and CNM Lecturer Gemma Hurditch, appeared in Green Parent Magazine’s June 2018 edition. Pick this wild herb for more energy. In Spring we can collect and use nettles to help support our adrenal glands, which are directly responsible for the mobilisation of energy and the regulation of our body’s metabolism. Nettles’ broad list of vitamins, minerals, trace elements and other nutrients, which are at their height in Spring, supports almost every organ and system of our body, whilst vitally feeding our adrenal glands. Pick them fresh, wearing gloves to avoid their sting, and pick from a place where there are no contaminants, avoiding the roadside or anywhere that might have been sprayed. Nettles lose their sting when heated, and you can cook and eat them like spinach, or make nettle tea to drink daily. The best way to make a really powerful nettle tea, is to pour a mug’s worth of boiling water on to a large handful of washed and chopped nettle leaves, and let them steep for at least 20 minutes, or overnight. If left overnight and you wish to drink it warm, simply add more hot water in the morning. 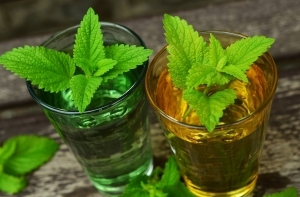 If you are unable to pick your own nettles, or can’t find the young leaves bursting with chlorophyll and Spring-rich biochemistry, then buy loose herbal tea or powdered nettle from a herbalist. With the powdered nettle, add a teaspoonful into a smoothie. See your health professional for personalised advice. This tip comes to you from Herbalist, Naturopath, and CNM lecturer, Jill R. Davies, who is the author of 14 books on herbal medicine. A high fibre, plant-based diet is ideal for weight-loss and ongoing weight maintenance. Many diets will help you to lose weight fast, but they come unstuck when it comes to long-term success. Most of us are only satisfied once our tummy is full – literally – we have receptors in our stomach which tell us how much volume is in there and that is part of what gives us satiety or satisfaction with the food eaten. Unfortunately, our energy dense foods, such as fats, soft drinks and alcohol don’t provide the ‘bulk’ to let us know we are full so we keep wanting more (that coupled with blood sugar fluctuations from processed sugary foods). Eating whole foods such as vegetables and fibre-rich fruits like apples and pears will help us to feel satisfied so we don’t eat more calories than we need. We all know what the high calorie foods are – and if you don’t there’s loads of places to get the information, apps on your phone, websites and charts. Basically if it is processed, it is going to be higher in calories than its whole food counterpart. We need to keep commercially processed foods to a minimum. The real key is planning. Stock up on organic vegetables, salads and make crudités for easy snacking and meal preparation. If you feel like eating some ‘treats’ have a bowl of green salad and some crudités first so you can stop at a few pieces of chocolate rather than a eating the whole bar. If you are hungry, feed yourself. It’s impossible to keep up a diet that requires you to starve. If you’re eating whole foods and minimising processed foods the weight should start to drop off. For extra help and support a naturopathic nutritional therapist can be useful in helping you overcome any obstacles to your health goals. This tip is brought to you by CNM’s Gemma Hurditch, Naturopath. Are there any nutrition tips for helping control PMS? Calcium and magnesium both come into play with PMS. Calcium has actually been proven beneficial in reducing symptoms of PMS, and many believe that the monthly craving for chocolate is based on the delicious fact that chocolate is rich in magnesium! If you suffer PMS consider increasing your intake of calcium rich foods such as organic tofu, sardines and sesame seeds (tahini paste is delicious). To get a therapeutic dose you may want to take a calcium citrate supplement for ease of absorption. Take 1.5g of elemental calcium per day from a day or two before your PMS symptoms usually start. In the meantime, increase your magnesium intake by eating pumpkin seeds, spinach, organic tofu and quinoa. Some women find increasing their intake of flaxseeds useful too, particularly for breast tenderness – 2 tablespoons per day after ovulation is recommended. If you suffer from bloating or water retention, a probiotic formula and minimising your processed salt intake can also be useful. Keep commercially processed foods and fats to a minimum, support your liver and hormone clearance by exercising and eating your raw greens (rocket and broccoli in particular). Favour fish over red meats and don’t forget your fibre! The Asian spice turmeric, which is often ground into a deep orange powder and used in curries, has been used for centuries in India for medicinal purposes. More recently, its active ingredient, curcumin, has been much in the news because scientists have confirmed its remarkable anti-cancer properties. 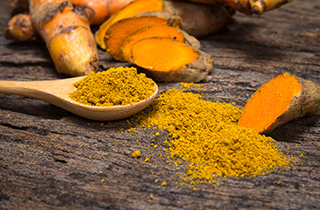 There’s a wealth of exciting information coming through about curcumin’s role in warding off memory loss, depression, chronic disease, and more. In particular, its potent anti-inflammatory properties can help to relieve the pain of arthritis, and to reduce allergies, psoriasis, eczema, gastric ulcers and inflammatory bowel disease, to name but some of the conditions for which curcumin can be helpful, and for which it has traditionally been used. Using turmeric in your food a few times a week is a great way to get your dose of curcumin, in normal circumstances. But don’t forget to add black pepper to your recipe, as the active ingredient in black pepper helps to increase the bioavailability of the curcumin, meaning that it’s more effective for you. For a general anti-oxidant health boost, take ½ teaspoon of powdered, organic turmeric, with a pinch of ground black pepper, in a glass of hot water, once a day. Add some Manuka honey or cinnamon powder for taste. 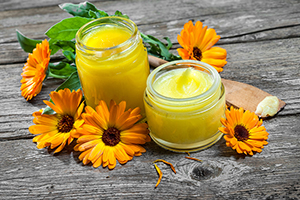 A naturopathic herbalist can combine therapeutic doses of turmeric into a tincture or powder containing other herbs and spices which are appropriate to your individual needs. Turmeric is generally very safe to use. However if you are on medication or suffer from a specific medical problem and you are not sure about using it, please consult your herbalist. This tip is brought to you by Maya Daghighi, a Graduate of Herbal Medicine at CNM. CNM’s Diploma Course in Herbal Medicine incorporates both Western herbs and the energetic approach of Ayurvedic and Chinese Medicine. Or read more about our Short Course in Herbs for Everyday Living here held in London. It is difficult to ‘kill’ a virus since, by many definitions; a virus is not a living thing. It can, however, penetrate your cells and, from time to time, take over control. The herpes or cold sore virus is no exception. As an alternative, you can stop the virus ‘expressing’ itself, i.e. becoming active. You can stop that tingle turning into a developed cold sore or herpes outbreak. And you can do this simply and easily. The moment you feel the tingle that heralds an imminent breakout, take action! Get an ointment or thick cream, a natural, organic one from your health food shop would be best. If it is calendula cream that would be excellent. At the same time: buy some sodium ascorbate powder. If you cannot find this, buy calcium ascorbate or magnesium ascorbate. They are all forms of vitamin C. Do NOT buy or use ascorbic acid for this purpose. If you cannot buy the powdered form, then buy capsules that are filled with the powder and empty them out. This will make the process more costly but it will work perfectly well. Next, put a smear of the cream over the virus tingle. Its major purpose is to act as ‘glue’ to stick the powdered vitamin C onto the area of the tingle. Tip some of the powder (from the jar or capsule) onto the cream. Press it in firmly and then leave. As appropriate, keep this in place with some tight fitting clothing or a plaster. When it wears away or is washed away, apply again. Within a few hours you should find the tingle has gone. The longer you wait before your first application, the longer it will take for the virus to be defeated – so don’t delay! If you do use ascorbic acid by mistake, it will probably be painful, like putting lemon juice on an open sore. 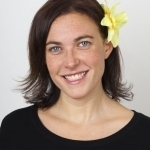 Dr Xandria Williams is a Biochemist, Naturopath, and Orthomolecular Nutritionist, who lectures at CNM. Some of the everyday plants that we see in our gardens and fields which nature has provided as therapeutic foods are much overlooked by current generations as highly fortifying and nutrient rich foods. Common Stinging Nettle (Urtica dioica) is one such example and is traditionally used as a spring tonic, its therapeutic properties coming from the roots as well as its stems, seeds and leaves. So why not don a pair of gloves this spring and collect young nettles in their prime? Pick the tips from an uncontaminated area where no spraying has taken place and wash them thoroughly. Cooking destroys the stings, and produces a tasty vegetable and nutritious soup, or a side dish of greens similar to spinach, with an earthy green taste. Nettle can be used in many other dishes such as casseroles, or used as a pesto or cordial. 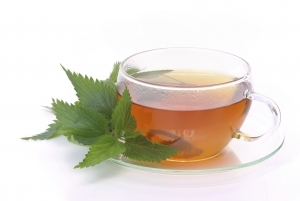 Nettle tea is also a favourite and is very refreshing. Simply add water to your young nettle leaves and heat to a near boil. Use about two cups of water for a cup of leaves. You can make the tea stronger by steeping longer or weaker by adding more water. Once the water is near boiling, reduce heat and simmer for a few minutes. Nettle’s protein content rises when dried. If you want to use nettle through the winter then gather the leaves in spring, bag up and freeze. You can also store the seeds in a jar to provide a crunchy topping, but harvest the whole nettle and dry before removing the seeds, and store them in a dark cool place. Why is nettle so nutritious? The amazing nutrient density of this superior green plant is due to its shady growing position in rich soil. Nettle leaves contain significant amounts of chlorophyll and high amounts of protein, together with an impressive list of nutrients including vitamins, minerals, trace elements, and things you may never have heard of, like carotenoids, polysaccarides, fatty acids, lignans, phytosterols and flavonoids, but which are all essential for good health. Nettles are rich in zinc, magnesium, calcium, phosphorus and potassium, contain more iron than spinach and are a high source of vitamin C which aids iron absorption, helping to combat anaemia. Nettle’s nutrient profile means it can support human health in a variety of ways; it nourishes, strengthens and balances many functions of the body and supports its organs and systems including, liver, kidney, immune, hormonal and cardiovascular health, helping to cleanse the body of waste, purifying the blood and helping the body resist infective bacteria including those responsible for recurrent urinary tract infections. Nettle can decrease the inflammatory response as well as improve blood flow and pain responses. These effects can help to reduce the pain and stiffness of arthritis, gout and other soft tissue conditions such as bursitis and tendonitis. We all know that being stung by nettles can cause a swollen itchy rash such as hives, but amazingly when eaten nettle can also help hives. Freeze-dried nettle leaf has also been used for dealing with hay fever, asthma and other seasonal allergies. Nettle has also been used as a hair and scalp treatment for centuries to promote hair regrowth, as well as reducing dandruff and scalp conditions when used as a rinse. This health tip is brought to you by Naturopath and Nutritionist, Sue McGarrigle, CNM lecturer in Naturopathic Nutrition. 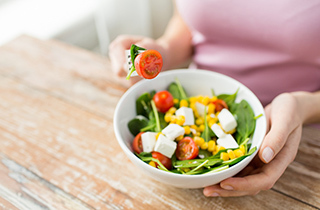 It is increasingly accepted that a low-carbohydrate (‘low carb’) diet is the way to lose weight healthily, by minimising excess sugars and starches in diet that the body turns to fat. Increasing nutrient-dense protein and fat sources satisfies hunger to reduce overall food intake, too. 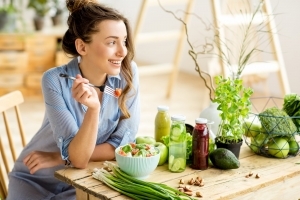 Essentially a healthy low-carb diet for weight loss consists of hearty amounts of vegetables (less starchy vegetables are preferred), seeds, nuts, eggs, fish, moderate meat and butter. Foods are best in whole organic form. 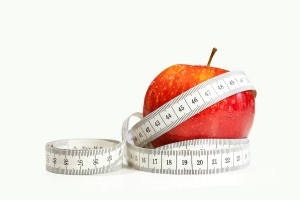 People with blood sugar or insulin issues respond particularly well to this weight loss approach. In a weight loss diet aromatic and bitter herbs, spices and foods have amplified benefits; they stimulate gut peristalsis to counter the stagnating effect of a richer, high protein and fat diet; they also make dishes tastier and more satisfying to the senses! This health tip is brought to you by Acupuncturist and Traditional Chinese Medicine Practitioner, George Cooper, who lectures on CNM’s Diploma Course in Naturopathic Acupuncture. Type 2 diabetes affects 4 million people in the UK and that number is growing every day, despite the fact that we can help prevent it by diet and lifestyle. We use carbohydrates as the principle fuel source for our bodies, and all foods, with the exception of pure oils and fats, contain carbohydrates. In their natural state, whole foods come as a complete package of carbohydrate, fibre, fat and protein, and our bodies have a number of processes to help break down those carbohydrates into sugars that our bodies can then absorb and use as fuel. These processes take time and so the sugars from whole foods are released slowly into the bloodstream and are put to work in cells. 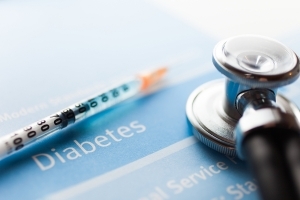 The hormone insulin is released by the pancreas in response to sugar in our blood and ‘knocks on the door’ of cells to tell them that sugar/glucose is available. The whole system is extraordinarily elegant in design. Producers of processed foods, such as ready meals, fast foods, confectionary, and junk food, maximise profit by maximising sales! The holy grail for the food industry is the ‘bliss point’, that perfect ratio of fat to sugar that makes your brain go ‘ping!’ and sends the message ‘give me more!’, creating food craving and brand loyalty into the bargain. These foods need only minimal work by the digestive system and as they flood your system with sugars, the pancreas has to produce ever increasing amounts of insulin to keep up. Over time this abuse results in pancreatic exhaustion and ultimately Type 2 diabetes. Eat ‘real’ food, staying with fresh, organic, whole foods, this way you’re eating food that your body recognises and can work with to keep you fit and healthy. Opt for predominantly plant-based and include wholegrains for the fibre and good fats from avocadoes, nuts and seeds. All foods contain protein so as long as you’re meeting your calorie requirements from whole foods you’ll be getting enough protein. Nothing needs to be added or taken away from food that was made as nature intended, so rediscover the magnificent flavours of food without chemical additions or processing! This health tip has been brought to you by Naturopath Georgie O’Connor. At this time of year, many of us get to the point where winter has been far too long and we are eagerly awaiting some sunshine. I always find that Sweet Orange essential oil (citrus sinensis) can be really useful in shifting these winter blues. Like a little bottle of sunshine, Sweet Orange essential oil is uplifting to the spirits¹. It is also a great stress reliever², so it is useful after a long day with the children or at the office. My baby daughter just loves it when I drop a few drops onto a tissue in her room. It seems to settle her beautifully for sleep and has rid her of those pesky night terrors. Add 2 drops to a glass of water and use a gargle – it’s great for the prevention of dental caries³. 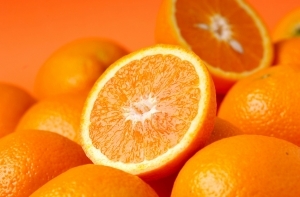 Sweet Orange has even been found to have potential as an effective non-pharmacological therapy for dementia⁴. Let’s not stop there! If you’re thinking of doing any pre-summer cleanses, detoxes or just wanting to ‘clean’ up your digestion, Sweet Orange is a great cholagogue (promotes the flow of bile from the gallbladder), so it can be a fantastic addition in that glass of water during your fast or cleanse. It is also really useful after a heavy, indulgent or rich meal. This health tip has been brought to you by Naturopath Jodi Cahill. 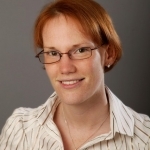 Jodi is currently lecturing Biomedicine at CNM London. This is a tip to discourage flying insects such as mosquitos, sandflies, gnats and horseflies from biting you when you’re sitting down to enjoy a meal al fresco on a balmy summer’s evening. Mix 4 drops of geranium essential oil and 4 drops of rosemary essential oil, into 40ml of carrier oil, and apply it liberally over exposed skin, especially around the ankles, every hour. If you have sensitive skin, use only two drops of each oil. NOTE: This mixture is best used only in the evening as essential oils can make your skin especially sun sensitive. Digestive issues are unfortunately very common in today’s society. I have found the following juice recipe particularly helpful for a lot of my clients. It is great for soothing the gut as well as easing bloating and gas. Cabbage juice is remarkably mellow and sweet in taste, so do not let its inclusion put you off this juice! You need a juicer! I recommend juicing with organic ingredients, to reduce residues from toxic pesticides. Wash, chop and juice all ingredients. 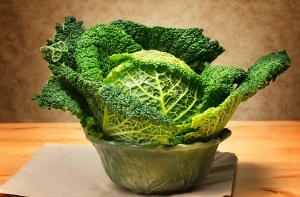 Cabbage juice has the ability to relieve acid reflux symptoms. Additionally, cabbage contains sulforaphane, which is capable of fighting Heliobacter Pylori (H. Pylori), the bacteria found to play a role in the development of peptic or stomach ulcers. Pear contains the soluble fibre pectin, which soothes the intestinal wall, reduces constipation and improves the balance of flora in the gut. Pineapple contains bromelain, a digestive enzyme, which not only assists in digesting proteins but also has the ability to reduce bloating, gas and other symptoms of irritable bowel syndrome (IBS). It has also been shown to have a lowering effect on inflammation in inflammatory bowel disease (IBD). Ginger is calming to the digestive system and helps reduce flatulence. Mint has a relaxing effect on the digestive tract and can help relieve spasms and cramps. 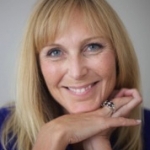 This tip comes to you from Nutritional Therapist Tess Strom. Tess lectures on CNM’s Juicing for Health Short Course, and will also be lecturing on CNM’s newly created Natural Chef Course. There has been widespread prescription of antimalarials over the last fifty years, even when the risk of contracting disease was only theoretical. 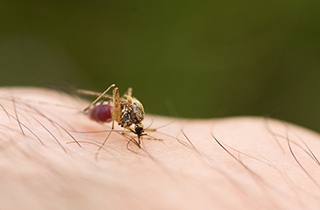 This was without emphasising the need for personal protection against mosquito bites, and has led to the dangerous situation of the malarial parasite being resistant to many of the available drugs, both for prevention and treatment of the disease. For this reason it is imperative that strict precautions are taken regarding bite avoidance. I also recommend homoeopathic boosting of the immune system in addition to any appropriate preventative medication. long sleeved clothing from dusk. Seek medical advice urgently in case of fever within 3 months after leaving risk areas, and consider malaria as a possible diagnosis for up to one year. 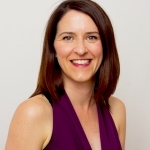 This tip comes to you from GP and Homeopath Dr Jayne Donegan. Any help to calm or reduce the excessive histamine production will be important for hayfever sufferers. The unpleasant inflammatory responses of constricted breathing, itchy eyes, runny nose and all the rest are exhausting. These histamines are released when the airborne plant proteins (pollen etc) irritate the lining membranes of the nose so herbal practitioners generally put several plants together in a formula in order to address this and other factors. The biochemistry within food can really make a difference. ‘Bromelain’ supplement (taken away from food) is a great anti-inflammatory and nasal decongestant. Quercetin and rutin rich foods will also help by reducing excessive histamine release. Onion (red), apple (keep skin on), citrus fruits, broccoli, berries are all quercetin rich. Search out local honey and use it year round but most importantly for 1-2 months before your normal hay fever onset time frame. The idea behind this is to introduce local pollens into your system and gently de-sensitize your immune reaction to them. Of course any other known allergens like wheat and dairy must be avoided so as not to compound the situation. Why not make fresh herbal teas from wild herbs like fresh plantain and nettle? Use a handful of both or either (use gloves if nettle of course!) per mug of boiling water. Leave for 15-20 minutes to brew before drinking. Our adrenal glands play an important role in hay fever allergy responses, so supporting the adrenals before and during your particular reaction to pollens, spores, dust etc. will be essential. The more histamine that is released, the more cortisol it takes to control the inflammatory response and the harder the adrenals have to work to produce more cortisol. Those with already weak and over-exhausted adrenal glands will be worse off. So supporting, feeding and nurturing the adrenals with the adaptogenic herbs like Siberian ginseng, Ashwagandha or Rhodiola makes real sense. This tip comes to you from Lorna Driver-Davies and Jill Davies, ‘Herbs for Everyday Living‘ short course lecturers at CNM London. 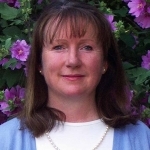 Lorna can be reached at www.feelbetternutrition.co.uk. Jill can be reached at www.herbshandshealing.co.uk. Stress and anxiety are very common experiences for people in modern society, and can be expressed physically as well as emotionally. It can sometimes be appropriate to self-help for some of these anxiety and stress conditions. Alongside any type of remedy you’re considering, you’ll need to make lifestyle changes. Look at the causes of stress and tackle them if you can, for example, by changing an unhealthy work pattern. Take steps to reduce the impact of stress, ensuring regular exercise, a healthy diet, having a good sleep, and relaxing, for example, by getting a massage. If you’d like to try Homeopathy, it’s important to note that the same remedies are not always prescribed for the same ‘dis-ease’ being experienced. Instead, appropriate remedies depend on how an individual expresses the ‘dis-ease’, in this case anxiety or stress. Those undergoing more acute anxiety attacks may benefit from remedies such as Aconite or Argentum Nitricum, depending on the symptoms they present with. For mental fatigue and burn-out syndrome, remedies such as Phosphoric Acid, Kali Phosphoricum and Picric acid may help. A person who could benefit from Phosphoric Acid feels exhausted and weak, indifferent to their environment, and does not want to talk. People who respond to Phos.ac. particularly well are those who may be suffering from loss of memory, or who are unable to retain any data and information. A strong emotional causative factor of their stress can be grief and sorrow. Kali Phos. can be a remedy for people who feel mentally exhausted from overwork. They are usually very nervous people, and can be very sensitive, e.g. to noise. Both remedies can be useful for adolescents going through a lot of exams and feeling that they will not be able to cope with the workload. Another Homeopathic remedy, Picric acid, may suit people who feel exhausted, mentally and physically, who grow weak after the slightest exertion. 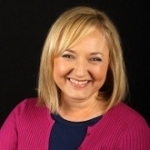 Many people I see claim that this has restored their worn-out system, especially where they have experienced ‘job-related’ headaches such as teachers, students, and over-worked business people. If you’d like to try a Homeopathic remedy for chronic states, such as burn-out syndrome, see a qualified Homeopath. Always see your health practitioner for personalised advice. Health tip by Ralf Jeutter, Homeopathic Practitioner and podiatrist. Lavender is more than just a herb we should associate with getting to sleep. Research shows that it’s also a relaxing herb, which helps subjects feel less anxious and calmer. I recommend using lavender powder (found in herbal supply shops), in either a smoothie (2 tsp a day) or you can make your own capsules. Look for companies who sell empty cellulose capsules (vegan). Choose a medium sized capsule and fill around 6 capsules to take daily. I find it doesn’t make people sleepy during the day; it just supports them during busy times or, when they would normally be prone to feeling worried. 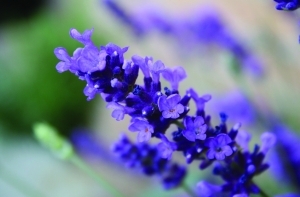 Just like B vitamins help our nervous system, you can use lavender in a similar way. When I work with clients who are exhausted from work or a demanding home life, they are often so ‘frazzled’ they find it hard to feel calm. Lavender is a natural way to encourage a feeling of calm. This tip comes from Lorna Driver-Davies, Herbalist and CNM Lecturer. 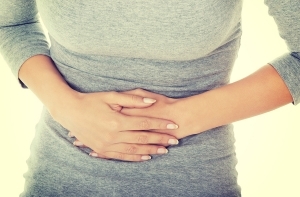 Constipation is a very common condition that most of us have experienced from time to time. For simple constipation, there are three basic things that can influence regular bowel motions. They are: Fluid, Fibre, and Activity. Good hydration makes everything in our body work better; we feel more alert and have more energy, all because the body has one of its most essential components in good supply. The large intestine has developed to remove water from the stool as a way of helping to maintain our hydration levels. If you have constipation, always ensure you are drinking enough good hydrating fluids. Checking your hydration level is as simple as noting the colour of your urine. It should be a light straw colour. Adjust your fluid intake according to your observations. Fibre from the diet is essential in producing the bulk in the stool and to assist its passage. Fibre comes in two forms, soluble and insoluble, and we need a mix of both to keep things moving. Adequate fibre, in conjunction with good hydration, are the best of friends. Some of the foods to think about incorporating everyday into your meals are oats, linseeds, green leafy vegetables, leeks, onions and garlic. If you want a little gentle help, try soaking 1 to 2 tsp of cracked linseeds in a glass of room temperature water overnight. Drink this in the morning, followed by another glass of water. Last but by no means least, is activity. The body expects to move and it incorporates this expectation as part of the natural function of the digestive tract. So to help things along from start to finish, keep as active as you are able to be, be it walking, or a workout at the gym. Used together, these three tips can really help to get things ‘moving’ once more. This health tip comes to you from Nutritional Therapist, Simon Bradley. Emotional stability affects health, so solve problems you may have in the family or at work. Make sure you exercise on a regular basis to improve oxygen supply and blood circulation. Keep a diet which is low in sugar and processed food. Organic, fresh, whole food is best. Once you have a cold, give your body what it wants, as we are all different. Whether it’s cold air or warmth, lots of liquids or only small amounts. Generally speaking you should stay away from mucous-forming food such as milk, cheese, chocolate and white flour products such as white bread, cakes and pastries. Prepare a large cup of herbal tea of your liking (ideally with Ginger in it), squeeze half a lemon into it, add honey and as much Cayenne pepper as you can bear. Drink it as warm as possible. Cayenne opens capillaries and improves blood circulation. Bathing in Himalayan salts works wonders, as they contain all the minerals a human body consists of, and provide an alkaline environment which helps detox. Add 2 lbs of Himalayan salt to a full bath. Sit in it for at least half an hour. Afterwards, pamper your skin and go to bed, well covered. Give yourself a rest! Got a sticky nose or sinus? Boil water, add a handful of Chamomile to it and inhale the steam, covering your head with a towel. Source a cocktail of good stuff such as Vitamin A, C, D, Zinc and a blend of herbs (Echinacea, Goldenseal etc) from your herbalist or health food shop. Gargle with Chamomile, Peppermint, or grab a spray from a health food shop with natural ingredients such as Cayenne, Propolis, Echinacea, etc. There are 2 Homeopathic remedies which, though not specific remedies for a cold, can really help some people whose recovery after illness is slow, and they are feeling weak and worn out. One is Alfalfa in the 1C potency. Take 3 times daily 3 drops or 3 granules. If symptoms don’t disappear within 2 days, you could try Kali. phosph. 6C. Take 3 drops or 3 granules 3 times per day, but for no longer than one week. 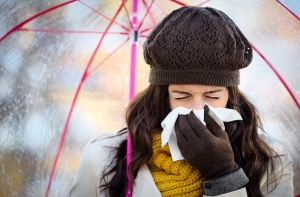 These tips for dealing with a cold naturally comes to you from Naturopath and Homeopath Hermann Keppler, Principal of CNM. Festive ‘over-indulgence’ can leave our bodies feeling heavy, lethargic and exhausted. To make matters worse, the rich, sugary treats that we have overindulged on suppress our immune systems, which makes us far more likely to suffer from coughs, colds and other winter ailments. These types of illnesses can rather bizarrely make us crave more sugary ‘comfort foods’ which can have exactly the same effect as the foods which suppressed our immunity in the first place! It’s a vicious cycle which needs a helping hand to break. 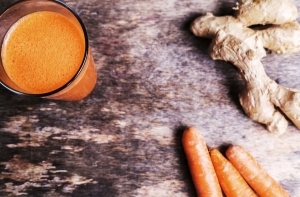 This simple, immune boosting juice which is full of the antioxidants vitamin A, C, selenium and zinc is just the thing to give your weakened immune system a much helping hand for a new energy-bursting 2015. Juice all the ingredients and serve! It’s as simple as that. A fresh and juicy way to kick-start both the new year and your immune system. Happy New Year! 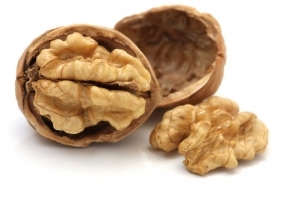 Walnuts – packed with GOOD fats! Walnuts contain essential fatty acids, or ‘EFAs’, which are needed to support great health. The body cannot make them itself and therefore we must include EFAs in our diet, preferably replacing unhealthy fats such as margarines, or hydrogenated fats which are often found in processed foods. EFAs support adrenal and thyroid activity which in turn supports a healthy immune response. As well as supporting the nervous system they also promote healthy blood, arteries, and help to regulate cholesterol, therefore benefiting the cardiovascular system. They also help promote youthful skin and hair. EFAs are thought to reduce inflammation and so can support people with inflammatory conditions such as asthma, arthritis or eczema. EFAs can be found in seeds such as hemp, chia, pumpkin and sunflower as well as leafy vegetables, oily fish like mackerel, and nuts such as pecans and walnuts. It is best not to heat the nuts and seeds so as not to damage their structure. Around Christmas, you can often buy walnuts in their shells. Buy them as fresh as possible as EFAs are highly perishable. Keep them in an airtight container in the fridge or a cool, dry, dark place where they can last up to 6 months. Shells should not be cracked and there should be no mould. If your guests don’t have nut allergies, add walnuts to salads, stuffing mix, smoothies or use to top your porridge. They can also be added to cooked lentils with herbs and olive oil to make a tasty festive dip. 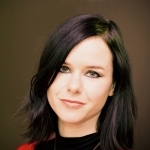 This tip comes to you from CNM lecturer Roisin Cooke. 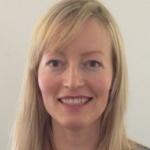 Roisin is a Nutritional Therapist who practices in Edinburgh. 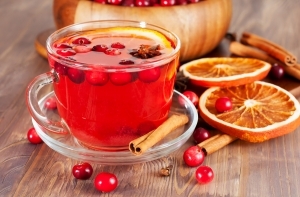 Why not offer your guests a super-healthy non-alcoholic punch as a great start to this season’s festivities? Here’s a recipe that really does pack some punch! Cranberries are full of health-protecting vitamin C and phytonutrients, plus fibre for good digestive function. Along with the anti-inflammatory properties of ginger, which also numbers respiratory benefits amongst its host of helpful properties, it’ll help you feel fresh and full of natural ‘zing’! Place the orange juice and zest into a blender with the remaining ingredients. Blend until a drink-like consistency is achieved, adding more water if required. Strain through a mesh sieve and serve in glasses with slices of fresh orange. This tip comes to you from Sam Folcarelli, a student of Naturopathic Nutrition at CNM Edinburgh. With the festive season here, it’s easy to over indulge on naughty foods. This can lead to constipation and a sluggish digestive system so it is important to keep things moving during the Christmas period! This juice can be used regularly and is also good to use during a detox. Cabbage is one of the most potent digestive aids and great for juicing as its nutrients are highest when raw. It helps rid the colon of waste and prevents constipation and fluid retention. It is also high in the amino acid L-glutamine which can help reduce inflammation in the digestive tract and restore the integrity of the gut lining. Celery is high in potassium which helps to reduce fluid retention, ensuring you can fit in that favourite party dress! It contains good levels of antioxidants such as vitamin C which help protect against damage to our cells in the digestive tract. Pears are a great source of soluble fibre which helps soften your stools, making them easier to pass through the digestive tract, helping to prevent constipation. Watercress, a cruciferous vegetable, is high in sulphur which assists the liver in the detoxification process, whilst spirulina has amazing antimicrobial properties that can destroy bacteria and viruses which can lower our immune system, 70% of which lives in our digestive system. 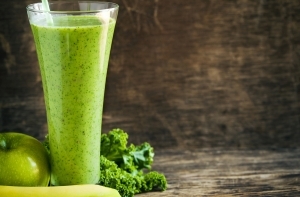 This smoothie is particularly good for helping to maintain a healthy digestive system. Juice all the fruit and vegetables and then blend with the spirulina. Traditional Medicine from a Christmas Tree? Our beloved Christmas trees are filling our homes again with festive cheer and the fresh smells of the forest. There are so many trees used for Christmas (pines, spruces and firs) and of all these, the white fir especially holds so much more in store for us than just its beauty and tradition. The white fir (Abies alba) has been used in traditional medicine in Europe and North America for centuries and produces a clear essential oil which has a fresh, softly balsamic scent and is very invigorating. 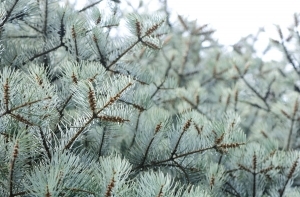 Aromatherapists say the woody scent of fir makes people feel happy. During the winter season when daylight hours are short, the traditional European Yule log and Christmas tree were brought into their homes to prevent depression. Emotionally, white fir essential oil evokes feelings of stability, energy, and empowerment, has a calming effect while stimulating the senses. The topical uses of white fir essential oil include antiseptic uses, pain relief for aching muscles and stimulation of the circulation and detoxification of the body via the skin. One of the most well-known uses is in the improvement of respiratory function by supporting the loosening of bronchial mucous as well as anti-inflammatory effect on the throat and bronchi. Another less well known effect is that of stimulating the metabolism and stimulating digestive function and heart rate. Last but not least, the pleasant smell of fir needle essential oil can be wonderful for people who suffer from body odour, leaving us smelling fresh as the forest! Apply to cold, achy muscles and joints during winter time. Diffuse or apply to chest to promote clear breathing. Add 1–2 drops to a hot bath to relax aching muscles and breathe in the cleansing aroma. Diffuse to reduce mental fatigue at work. Possible skin sensitivity. Keep out of reach of children. If you are pregnant, nursing, or under a doctor’s care, consult your physician. Avoid contact with eyes, inner ears, and sensitive areas. Do not ingest. 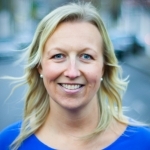 This tip comes to you from Nutritional Therapist Johanna Benseler. 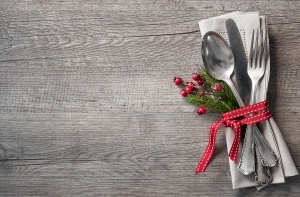 Whilst Christmas is a great time for gatherings, it can leave cooks struggling, especially with so many people now making different dietary choices, or being intolerant to certain foods! These delicious course ideas are for guests who are vegan, or dairy or gluten intolerant, but if you use ready-made stocks or sauces, always check the label before use! Opt for organic ingredients which are GM-free, to cut down on the potential for allergic reactions. Roast a head of garlic for 20 minutes at 220C. When cool squeeze the cloves into a blender with 140 ml sunflower oil, 4 tbsp. cider vinegar, the juice of two oranges, 1 tsp. each of grain mustard and tamari sauce. Place in an airtight container and store in the fridge. When ready to serve, peel, pit and thinly slice an avocado – dip in the dressing so it keeps its colour, then segment 2 oranges and combine with ½ cucumber and lettuce leaves of choice. Drizzle a few tablespoons of the dressing over the top to serve. Try this holiday version of a nut loaf for the non-meat eaters. Preheat the oven to 180C. Sauté a finely chopped medium onion with 2 minced cloves of garlic, 500g of chopped mushrooms, 115g chopped cashews and 115g chopped walnuts for approx. 10 minutes. Meanwhile, combine 125ml marsala wine with 1 tbsp. of corn flour, the juice of a lemon, 40g of oat flour, and ¼ tsp. each of dried rosemary, dried thyme, salt and lots of freshly ground pepper. Pour this into the pan with the nuts & mushrooms and cook until the mixture thickens. Line a 9 x 5 x 3-inch Loaf Pan then press in the mixture and bake for 30 minutes. So that everyone can partake of the veggies, steam them, or cook them in coconut oil, or sauté them in gluten-free vegetable stock. For a rare treat, try this sublime orange chocolate mousse! Drain and pat dry 340g of extra firm silken tofu, then blend with ½ tsp. of orange extract and 60mls maple syrup. Gently melt 130g of dark chocolate and combine with the tofu. Pour into pretty dishes and pop in the fridge to set. Serve topped with toasted almonds and orange zest. 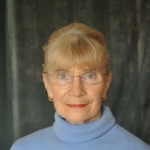 This tip comes to you from Nutritional Therapist Georgie O’Connor, who lectures in Nutrition at CNM. Homeopathy is fantastic when children become unwell and we don’t immediately want to resort to conventional medications. It’s a gentle alternative medicine with no side effects, and it can be used for anyone, including pregnant women, newborn babies and children. 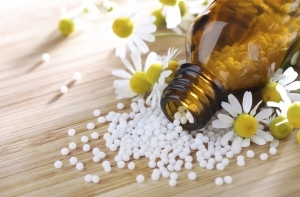 Homeopathy stimulates the body’s own healing mechanism, resulting a in a deeper and more permanent recovery. Homeopathy can be safely used when managing a fever. Rather than reducing the temperature, which could interrupt the natural processes, remedies will help the child to settle and become more comfortable. In normal circumstances, a child’s temperature is unlikely to go over 106C (41.1F) even without using homeopathy. Constitutional treatment, (homeopathy used when the child is well in order to boost the whole system), can apparently prevent seizures in children who are prone to them. According to NICE guidelines1, paracetamol preparations such as Calpol should not be used simply to reduce a fever, or to prevent febrile convulsions2. In homeopathic philosophy a fever is a wonderful thing! It’s a sign of good vitality and immunity, and represents a ‘clear out’, which helps the child to become stronger afterwards. Thirsty, although they may complain that drinks taste bad. Put a pill of the chosen remedy into a bottle of water and have the child sip it regularly while awake. If there is no improvement within 12 hours, try a different remedy. 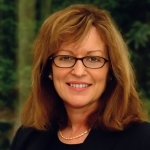 See your health professional for individualised advice. 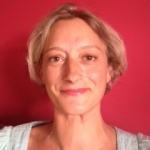 This tip comes to you from Homeopath Poppy Altmann, LCPH RSHom. 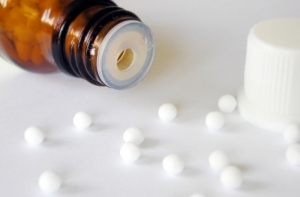 who teaches on CNM’s Short Course on Homeopathy for Babies and Children. 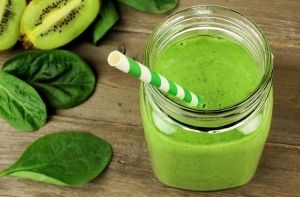 Try this Spinach & Ginger green smoothie as a POST EXERCISE RECOVERY DRINK, high in anti-oxidants with the anti-inflammatory properties of spinach and ginger to aid recovery! The spinach, chia seeds and coconut water provide a good helping of electrolytes (essential for rehydration, muscle and organ function and to prevent cramps). Acupuncture is the insertion of tiny needles into certain points on the body, for the treatment of illness. It has been practised for over 2000 years in China, and is becoming ever more popular in the West. It is estimated that over one million treatments are given per year in the UK. Back pain is one of the most common conditions which acupuncture is used for: as an acupuncturist I treat many people with the condition. The traditional explanation as to how acupuncture helps lower back pain is that it unblocks the pathways of ‘qi’, or ‘vital energy’. Blockages may be caused by bad posture, stress, poor diet, or injury. Modern scanning techniques, using PET scanners, have shown that the acupuncture pathways are channels along which sub atomic particles, called positrons, flow. 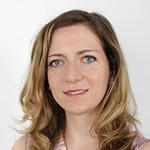 The research has also shown that the insertion of acupuncture needles into certain points stimulates the pain control centres in the brain, blocking the pain signal. 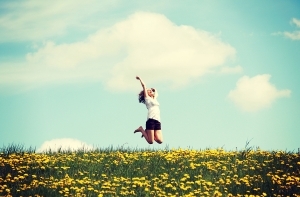 Acupuncture has also been shown to release endorphins, chemicals which reduce pain. 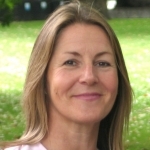 In 2009 the Government’s health watchdog NICE (the National Institute for Clinical Excellence) published a report which looked at the evidence. It examined seven studies which had been done on low back pain. Treatments were given once or twice per week for between four and twelve weeks. The groups varied in size, some with several thousand participants. Some studies compared real acupuncture with ‘sham’ acupuncture, where the needles are deliberately placed in the wrong area. The report concluded that ‘acupuncture needling is beneficial in reducing pain and improving function’ (p156). In other words, as well as reducing pain, acupuncture helped people get back to work, and get on with their lives. 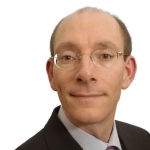 The report also said that ‘acupuncture costs less and is more effective than usual care’ (p156). The ‘usual care’ often consists of taking non–steroidal anti–inflammatory drugs (NSAIDs). However, these often cause serious side effects: listed by the NHS as indigestion and stomach ulcers. Long-term use can cause anaemia, gastro-intestinal bleeding, and the development of holes in the wall of the intestines. This can allow toxins to enter the blood and create serious long term health problems. On the other hand, acupuncture has positive side effects: patients often report improvements in sleep, mood, and energy. This is because acupuncture treats the whole person, not just the symptoms. Back pain is often a reflection of other imbalances in the body. For example, stress or exhaustion can lead to a build-up of cortisol in the blood, which can lead to inflammation and pain, and prevent the body healing damaged tissue. Acupuncture has been shown to be effective in treating stress, and reducing cortisol levels, thereby reducing pain. So, the evidence is clear: acupuncture can be an effective way to reduce back pain and improve mobility. Acupuncture can not only treat pain successfully, but also be efficient for many other complaints, and in helping regain vitality and health. 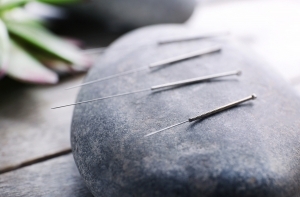 An extra advantage of Naturopathic Acupuncture, which is not covered in the report, but which is taught at CNM, is that qualified practitioners are able to give advice on making dietary and lifestyle changes, which can maximise the beneficial effects of Acupuncture needling, and so help prevent further difficulties. 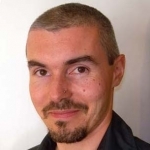 This article was written by Henry McGrath, Academic Director and Acupuncture Course Director at CNM. Quinoa – Superfood for Sports Stamina. Quinoa (pronounced keen wa) dates back to the Incas, who used it as a food to boost the stamina of their warriors, to allow them to run long distances at high altitudes. 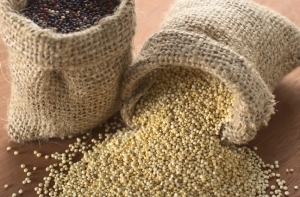 It was called “the mother grain”, although quinoa is not a true grain, but a seed, similar to amaranth. There are actually 3,000 different varieties of quinoa, but only two have been commercialised in the past decade. So how is this tiny pseudo-grain going to enhance your sports stamina? Well for a start it is packed with B vitamins which are essential for energy metabolism. A low GL carbohydrate with slow energy release, quinoa supports sustained performance. Contains double the protein of brown rice – 14g per 100g. Protein is important for endurance athletes as it is needed to repair and replace damaged muscle during training. Also, quinoa contains all 9 essential amino acids. A good source of iron, an important nutrient for energy and stamina. The iron requirements of both casual athletes and serious athletes are greater than iron requirements of sedentary people. Low iron leads to fatigue. 100g of quinoa provides 50% of your daily magnesium requirement! This mineral is involved in ATP production (the chemical compound that breaks down to release the energy responsible for muscle contraction). Low levels of magnesium can lead to early fatigue and nausea – things that an endurance athlete wants to avoid. Quinoa is also high in zinc – an important nutrient for the conversion of food for fuel. There is an increased need for zinc in athletes. Gluten-free, quinoa is easier to digest than other grains – such as wheat and rye – and therefore less allergenic. 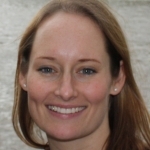 Gluten allergies and sensitivities can lead to fatigue. With a slightly nutty flavour, quinoa can be used as a rice or pasta alternative and can also be added to yoghurt with nuts and seeds to create a delicious breakfast alternative. Excess Oestrogen or ‘Oestrogen Dominance Syndrome’ is one of the many feminising environmental issues of today. Much can be done to manage, alter and negate this unavoidable presence in our lives that affects both men and women. We need to learn how to re-set the balance using specific foods, herbs, and naturopathic lifestyle practices such as stress busting ideas and exercise, liver clearance, bowel regularity and seasonal cleansing of eliminatory channels. 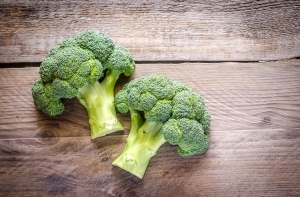 Cruciferous vegetables like broccoli, cabbage, kale, beetroot, horseradish, mustard and watercress, contain naturally occurring chemicals that are literally lifesavers, e.g. indole-3-carbinols, sulforaphanes and other glucosinolates. (Both John Hopkins in Maryland USA and John Inness, Norfolk in the UK have done extensive research in this area and you can google this if you are interested.) The reason this cruciferous family is of so much interest is because the above bio-chemicals can help to both (a) switch off and (b) help excrete carcinogens, whilst aiding the overall excretion of unwanted oestrogen. Why not sprout your own cruciferous or ‘cabbage family’ plants? This can be a quick way of getting concentrated amounts of these chemicals into your system, as each sprout contains as many highly prized phytochemicals as an entire plant and at a meal we frequently consume 50 of them! These sprouts do not just help fight and detox our carcinogens, they help create a more functional, healthy and active immune system. The number of people suffering from food intolerances has risen sharply in the last 20 years. Discovering your food intolerances can be an important part of re-balancing both nagging and long-term symptoms. and feeling ‘one degree under’? Then food intolerance could be part of your problem! Healthy eating is only ‘healthy’ if you’re not intolerant to any of your food. Your body is biochemically different to everybody else’s – you’re unique and a diet which works for one person can be a disaster for another. The old saying “one man’s meat is another man’s poison” is very pertinent. So identifying food intolerances which are individual to you can be extremely helpful. Kinesiology is a wonderfully quick, efficient and accurate method of identifying exactly which foods your body is absorbing well and which foods it’s struggling to tolerate, therefore contributing to symptoms. It uses non-invasive, manual muscle testing and the results are immediate. You’d be amazed how previously strong muscles become weak when a food someone is intolerant to is placed on their body. Eating the wrong diet for you can lead to physical and mental problems, affect your appearance, alter your behaviour and limit your life. So find out whether your diet is doing you more harm than good, start to live again and beat that food intolerance! 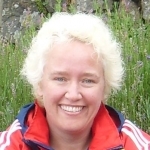 This tip comes to you from Alison Manos, Kinesiologist and lecturer on CNM’s Kinesiology Foundation course. ‘Spring clean’ your lymphatic system for free – with a weed! Collect a bunch of the ‘weed’ called Cleavers, which you’ll find growing almost everywhere in the UK in April and May. (See below for information on how to recognise the plant.) The most convenient and freshest way to take Cleavers is to have what is called a cold infusion. 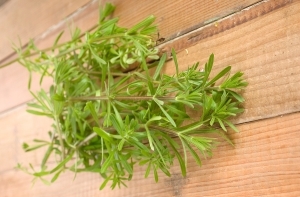 Pull or cut a handful of the herb, rinse well, and chop coarsely into pieces. Pour cold water over the plant, cover and leave to sit overnight. In the morning, strain off a cup of the liquid and drink it. It is a beautiful pale blue-green colour with a mild taste. If you are not on any medication you can drink up to 3 to 5 cups per day, for up to one week. If you want to take any more, or if you are on medication, you should consult your health practitioner to check for any interactions and as longer term use of diuretics can deplete potassium levels. Cleavers is a fantastic spring cleanser because it is believed to support the lymphatic system. The lymphatic system is an often overlooked system in the body which contributes to keeping us healthy by removing larger unwanted molecules which the blood cannot easily accommodate. When the lymphatic system becomes congested phlegm and mucous can more easily accumulate, for example, leaving you with signs such as a nagging cough after a winter cold or an allergy, or even such chronic conditions as Fibrocystic Breast Disease. In Traditional Chinese Medicine, phlegm accumulation is considered a major contributor to long term chronic disease. Cleavers may help clear residues by giving the lymphatic system a kick-start. It is also a diuretic, thus supporting the kidneys to flush toxins from the system, reducing water retention, and through this cleansing action, could also help improve some skin conditions. It was also used traditionally to calm the nerves. By improving the health of the lymphatic system you are boosting your body’s immunity overall. Cleavers (the Latin name is Galium aparine) is a classic British weed. It’s the famous ‘Sticky Willy’ which always grabs your clothes when you are out for a country walk. It often grows alongside another fantastic medicinal ‘weed’ – the Stinging Nettle. From April to the end of May it grows prolifically in gardens, as well as near hedges, field edges, park borders etc, in fact any where it can grow quite tall by hooking on to another plant for support. Be sure to choose carefully where you pick your plants, away from polluted roads or pesticide sprayed areas. Cleavers typically has delicate stems which grow up to 1.5m. Every few centimetres along the stems are ‘rings’ of splayed, slender leaves. By the end of May, it starts to seed so you can’t use the fresh plant any more. Cleavers has a wonderful cleansing and calming nature about it, and my morning cold infusion is always a part of my spring routine which I look forward to after a long winter. Personally I find it inspiring that you can make something for yourself that’s extremely effective and completely free, courtesy of nature! Alternatively you can take Cleavers as a dried leaf tea in a hot infusion, or in tincture form, available through a herbal supplier. This tip comes to you from Dana Kraft, a CNM trained Naturopath and Herbalist who practices Internationally. For some people lacking the mineral Silica, one of the first signs of deficiency will be nails splitting, and hair lacking lustre and shine. Try taking the cell salt ‘silica’. Take three silica tissue salts three times a day for one month. Watch and wait, and you will soon understand why so many women have reported their nails growing long and strong, and their hair texture being shiny and healthy. Cell salts or tissue salts, as they are otherwise known have been in use for 200 years. Dr William Schuessler, who was a Doctor, Chemist and Physicist in the 19th Century, discovered them. He ascertained that there are 12 minerals occurring naturally in the body and the lack of any one or some of these minerals can cause disease. In today’s first paced, modern world our bodies and minds are under stress, exposed to pollutants, bad diet, and many other factors affecting our health. This can lead to a depletion of these minerals and symptoms occur. If there are symptoms of ‘dis –ease’, then we need to supplement the minerals in order to build new and healthy cells. These 12 tissue salts provide these minerals in tiny doses that the body can utilise easily. They are not drugs and they are harmless, they occur naturally in the body. Anyone, including the old, the young, pregnant women and babies can all use them safely. You can buy them from Homeopathic Pharmacies and good health stores. 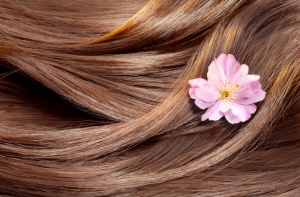 Of course, there may be other reasons why your nails and hair aren’t strong. Addressing your general diet is important, too. See your health professional if the problem is concerning. 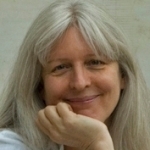 This tip comes to you from Homeopath Susan Marmot, who lectures on CNM’s short course ‘Homeopathy for Everyday Living‘. So what’s all the hype about Chia Bia? This tiny seed, once a staple of the Aztecs diet, offers the athlete a premium source of energy, high fibre and complete protein for muscle and tissue regeneration. 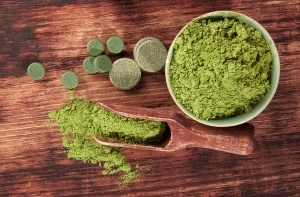 It is an ideal superfood for any athlete to include in their diets, and here’s why. Chia Bia is a high energy food with a slow and sustained energy release – beneficial for cardiovascular and resistance training as it raises and maintains energy levels. On top of this, Chia seeds contain twice the potassium content of bananas! Potassium, an important electrolyte, is responsible for regulating the water in the body and is lost through sweat during exercise. 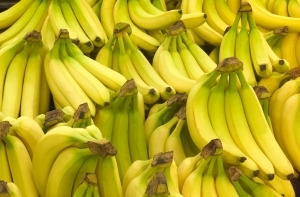 Potassium is also involved in controlled and automatic muscle contractions. Chia seeds are a complete protein, containing all essential amino acids in the correct ratios and containing 19 amino acids in total. Protein is required by both strength and endurance athletes to repair muscle damage, maintain the immune system, repair red blood cells which carry oxygen to the muscles, and stimulates the secretion of glucagon, the hormone that allows the body to burn fat as fuel (an adaptation that is highly beneficial for long distance endurance athletes). These seeds have the highest profile of Omega-3 ALA fatty acid than any other plant source (4g per 2 tbsp serving) – even higher than salmon! Omega 3 is known to reduce inflammation in the body, which is useful for athletes. If inflammation remains elevated after exercise, this can have a negative effect on muscle soreness and tissue repair. 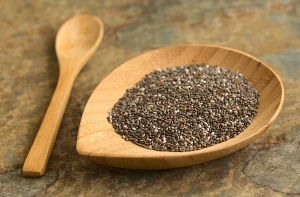 High in fibre, Chia seeds keep the digestive system healthy and aid detoxification. Their fibre also helps to prolong hydration due to their ability to retain 10-12 times their weight in water. This property will help athletes retain hydration and electrolyte balance. You can buy Chia seeds ground or whole from most health food stores. With a nutty flavour, they can be added to smoothies, cereals or yoghurt. Microscopic organisms or ‘microbes’ are always living with us – both on and in our body, keeping our body’s ecosystem in balance for good health. Any disruption in these organisms can have drastic health implications, and without them, we would die. So what can you do to help them keep us healthy? Most importantly, try and avoid using antibiotics unless essential, as these have a dramatic influence on our natural microbes! Giving birth naturally also plays a huge part in the microbes that will first colonise a new-born, and set them up for life. To encourage the growth of healthy microbes, eating food such as yoghurt, miso and sauerkraut can be good. 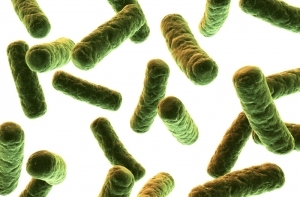 Supplementing with probiotics is also good, and is especially important if you have taken or are taking antibiotics. Any disruption to your gut function will start to disrupt your gut bacteria, so making sure your digestive system is happy is essential. If you have allergies or intolerances that affect your gut and give you symptoms such as bloating or diarrhoea these will also be harming your good bacteria. Get advice on the right level and type of supplementation for your individual health status by seeing a Naturopath or Naturopathic Nutritional Therapist. This tip comes to you from Sacha Marison, who is a Naturopath and Nutritionist. 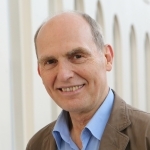 He lectures in Nutrition at CNM, where he is also Director of Biomedicine. Rose is widely considered to be the most beautiful flower in the world. The many traditions associated with rose can be traced back thousands of years and through many civilizations, including the Greeks, Romans and of course the Egyptians, where famously, Cleopatra used it to beautify herself and to help seduce her lovers. Aromatherapy oils or essential oils are a great ingredient to add to your homemade cosmetics, boasting numerous emotional and physical benefits. The oils work in three ways; Sense of smell, inhalation, and absorption through the skin. Rose is often referred to as the Queen of essential oils. It was probably the first flower ever to be distilled to create an essential oil, in Persia. It has a deep, feminine, sweet, floral aroma. Rose oil can be purchased in two forms; rose absolute and rose otto. 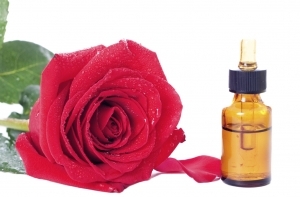 Rose absolute is obtained by solvent extraction and is widely used in the perfume industry. Rose otto, sometimes referred to as attar of rose, is delicately steam distilled and is used for therapeutic purposes, and is the more costly of the two. A large quantity of rose petals is required to extract a small amount of oil. Harvesting by hand makes rose a very expensive essential oil. However, it is highly concentrated, so only a small amount is necessary to have a therapeutic effect. We shall be using rose otto essential oil in the rich night cream recipe in CNM’s upcoming Short Course in Natural Skincare, and we shall be incorporating rose water in two of our recipes. In skincare preparations rose oil can be used on any skin type but is especially valuable for dry, sensitive, dehydrated or ageing skins. Used on scar tissue or wrinkles, it aids in the regeneration of new cells, and it has renowned skin brightening properties. Rose oil has soothing and anti- inflammatory properties, and has been known to have an astringent effect on capillaries, lessening high colour. Emotionally, many people find rose oil deeply nurturing and use it to help alleviate depression, grief, anxiety, stress, anger and fear. Rose oil was also traditionally thought of as a tonic for the heart and as having an affinity with the female reproductive system, including symptoms of PMT, menopause and irregular periods. Not forgetting that rose is the oil of love and has reputed aphrodisiac properties, boosting self confidence and libido! You can use essential oil of rose at home in many ways: massage oil, bath oil, body moisturiser, facial cream, luxurious lip balm or in hand and foot softening products. 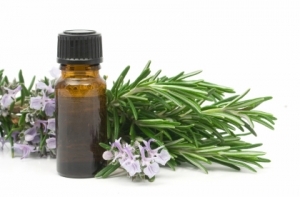 If in doubt about using any essential oil it is always best to consult an Aromatherapist or healthcare practitioner. This article is by Nutritional Therapist and Aromatherapist, Geraldine McColgan, who lectures on CNM’s short course on Natural Skincare. A type of Japanese egg pancake, this is perfect for a fast supper. It’s ideal for when you want something a bit naughty but still wholesome – a super-quick and tasty treat. Using ingredients that are high in fibre and provide both pre- and pro-biotics, as leeks and kale do, helps digestive health from several angles, both short and long term. 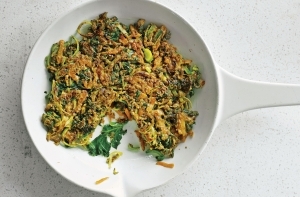 Mix the flour, eggs, kale, carrot, leek and flaxseeds together in a large mixing bowl. You should have a bowl of batter-coated vegetables. Season with salt and pepper. Make a dipping sauce by mixing the sesame oil, soy sauce, vinegar, honey, ginger and chilli in a small bowl, then set aside. Heat a large non-stick frying pan and melt a small amount of coconut oil in it, ensuring the oil coats the base of the pan. Place several large spoonfuls of the vegetable mixture into the pan, and press down to form a pancake. Cook for 2–3 minutes before carefully turning them over. Repeat until the pancake is crisp and golden. Slice into wedges and serve with salad leaves and the dipping sauce. If you are unlucky enough to catch the flu and you’d like to try a Homeopathic remedy to help you through the symptoms and help your body to recover, you’ll be faced with a bewildering choice of remedies. 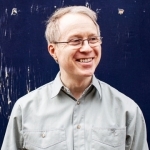 In Homeopathy we address the whole person, not just a symptom, and the more closely the remedy is matched to the person, the more effective the results. The most frequently-used Homeopathic remedies for flu are below. To decide which could be best for you, look at the list of key points below each, then pick the remedy that best covers your physical symptoms and your mood. This Homeopathic remedy is the most commonly taken for flu. As mentioned, the closer the match to you, the more effective the remedy. If you really can’t decide and you can’t speak with a Homeopath for further advice, you could try a remedy known as AGE, which combines Arsenicum, Gelsemium and Eupatorium. A useful one to keep in the cupboard! Dosage for all of the above remedies. 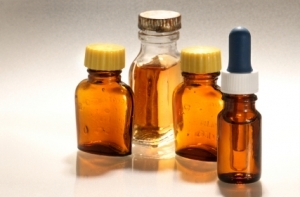 These remedies can be purchased from your Homeopath or a Homeopathic pharmacy. 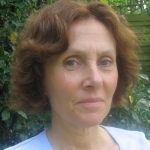 This tip comes to you from Homeopath Susan Marmot who will lecture on CNM’s short course ‘Homeopathy for Everyday Living‘, at CNM in London, starting 27th February 2014. It’s an easy to understand, practical course which will give you the confidence to start prescribing Homeopathic remedies for common ailments in the home. The course is sponsored by Health Food Store Revital. If you wish to train for a career in Homeopathy click here for more details of our Homeopathy diploma course. Place all the ingredients except the coconut oil in a tall jug and process with a hand blender until a thick mixture of dropping consistency develops. Warm a small amount (about 1/2 a tsp) of coconut oil in a heavy bottomed frying pan over a medium heat. Carefully drop spoonfuls of the mixture into the hot pan to form individual pancakes about 8cm across. This amount of mixture will make 8 pancakes so you will probably need to cook them in 2-3 batches. Remember to add a small amount of coconut oil to the pan between batches to prevent sticking. As the pancakes cook, bubbles will rise to the surface. Once golden on the underside (about 4-5 minutes) turn over using a fish slice and cook for a further 1-2 minutes. Keep the pancakes warm in a low heat oven until you are ready to serve. 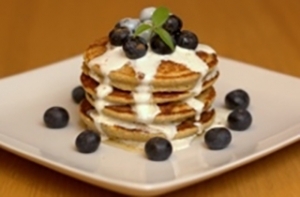 Great served with blueberries, honey cinnamon and cashew nut cream as a dessert or delicious breakfast! Lemon Balm acts on a part of the brain called the GABA system to cause mild sedation. However, at the same time it increases acetylcholine in the brain, a chemical which results in relaxed alertness and improved memory function, thus creating a perfect mental state for exams. There are a number of proprietary capsules and tablets also available in reputable stores, but choose whole herbs in preference, for a balanced medicinal effect. Everyone is different and you should try it out before the exams to see what your own optimal dose is within the dose ranges given above. Lemon Balm’s positive effect on memory has been highly regarded for hundreds of years and now modern science has confirmed the mechanism for these effects, making it a perfect herb for exam nerves. Lemon Balm (Melissa officinalis) is a member of the mint family and contains a range of volatile oils and acids which are responsible for its medicinal effects, including anti-viral and anti-inflammatory effects. You can grow this hardy perennial in a large pot outdoors. Pick the leaves in the afternoon before flowering when the oils are at their highest. Steep the leaves in hot but not boiling water for 4-5 minutes and make sure you cover the tea to prevent the oils escaping. Remember to pick enough leaves for drying before it is in full bloom in late spring/early summer. The dried herb will keep in a dark airtight container for up to one year. If you have thyroid disease or are taking medication, do not take Lemon Balm except under specialist supervision from a professional Natural Health Practitioner. This tip has been brought to you by Dr Carole Kelly, a GP and Natural Health Practitioner. 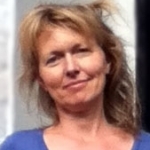 Carole is a CNM graduate in Naturopathy. At this time of year, Hay Fever can be a problem for many. Luckily, Chinese Medicine has a simple solution. One of the most useful Acupuncture points for the treatment of hay fever symptoms can be safely and effectively used with acupressure. The point ‘Large Intestine 21′ is called ‘Welcome Fragrance’, and it benefits the nose and treats nasal problems of all kinds. As well as hay fever it can be used for nasal congestion, runny nose, sinusitis, rhinitis, sneezing and so on. It is useful whether the problem is acute or chronic. The point is easily located on either side of the nostrils, in the naso-labial groove (the lines that run from the nostrils down to the corners of the mouth.) To use this point apply firm pressure with your fingertips for a minute or two, or until the point feels slightly sore or you feel a sensation of warmth or tingling. If you like, you can also apply small circular rotations instead of direct pressure – do whatever feels best. Blocked noses can sometimes clear instantly using this point! This point is often used by acupuncturists when dealing with hay fever, but an acupuncturist will also be able to work on the underlying causes as well as tailor a plan to address your particular symptoms. If you suffer badly with hay fever or rhinitis, it is well worth looking up a good acupuncturist for some advice! This tip comes to you from Neil Kingham (www.qi-therapies.com), a Chinese Medicine practitioner and CNM lecturer. 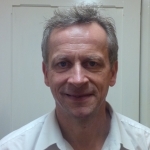 He works with acupuncture, massage, and nutrition, and is based in Bristol and Portishead. Sunstroke, or heatstroke (not to be confused with sunburn), is an illness caused by lasting exposure to very hot temperatures or dehydration. It can also be triggered if the body’s own temperature regulation mechanisms fail to work properly. Just a rise of a couple of degrees in the body’s regular temperature can have extreme effects on the way the metabolism works, manifesting itself as dizziness, fatigue, a headache, rapid pulse, rapid breathing, and muscle cramps, and the body cannot cool itself. The effects can damage organs, so seek urgent medical attention if symptoms are severe. Avoid getting sunstroke by not over-exerting yourself in very hot temperatures, seeking the shade, wearing a hat, and drinking plenty of clean water. For mild symptoms, take measures to reduce your temperature at once, such as lie in the cool with legs raised, take a cool bath, and sip cool water. 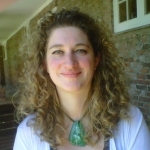 Homeopath Rebecca Johnson who has been practicing for 7 years, says that many people find the Homeopathic remedy Belladonna 30c, to be a fantastic aid to addressing the symptoms of mild sunstroke. Or, if the symptoms seem worse with movement and there is great thirst, then Bryonia 30c is more appropriate. Homeopathic preparations, usually in pill format, are widely available in health stores across the UK. Make sure that you buy the recommended potency (in this case 30c). They are delicate and need careful handling. Follow the advice on the pack. Whilst taking them, avoid coffee, mint, camphor, menthol and eucalyptus. Always seek personal advice from your health professional. 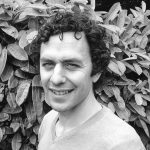 With flu still around at this time of year it could be a good idea to stock up on products from the natural plant, Elderberry, says Herbalist Peter Jackson Main. The antioxidants contained in Elderberry help stimulate the immune system and its powerful anti-inflammatory properties can help reduce aches, pains and fever. Do not eat it raw or it could be toxic. Where appropriate, I supply an Elderberry Tincture to my patients (£6 for a 50ml bottle plus p&p), and advise them to take 15-20 drops four times a day in a little water for five days as soon as they feel the symptoms of flu coming on, to help reduce the symptoms and speed recovery time. Elderberry can also be taken preventatively at a lesser dose (15 drops twice daily). Always consult with a qualified herbalist for specific advice before taking herbal medicines. This tip comes to you from Peter Jackson-Main. 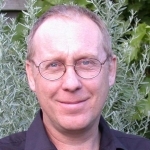 Peter Jackson-Main is a renowned Master Herbalist, Iridologist, Natural Healer, Author, and Practitioner at www.thenaturalcentre.com. 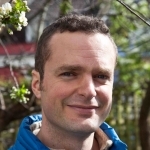 He is also Course Leader and Senior Lecturer in Herbal Medicine at CNM (College of Naturopathic Medicine). Celebrate with a healthy cake! 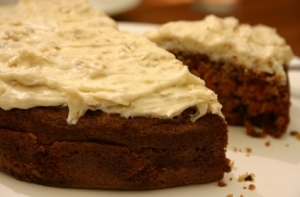 When you’re looking for that sweet treat to celebrate, try out this healthy and delicious recipe for a raw food carrot cake! It is gluten, sugar and diary free and contains only natural ingredients. It’s simple to do and requires no cooking! This recipe has been shared with us by our Director of Studies in Edinburgh, Sam Folcarelli, to mark CNM’s 15th anniversary! Place the grated carrots or carrot pulp in a large bowl. Use a food processor or coffee grinder to turn the sunflower seeds into a fine powder. Do the same with the dates and mix well. Mix the carrots, sunflower and date powder, with the nutmeg, coconut and cinnamon. Make the cake ‘dough’ into whatever shape you choose. You can press it down into any shaped container and smooth off the top with the back of a spoon. Remember to add the water a little at a time so that it doesn’t become too runny! You can eat the cake right away or it will keep for up to four days in a fridge. Enjoy! You’ll need a tart tin with 12 ‘rounds’. Preheat the oven to 200C (180C for a fan oven). Place the rice flour, xanthan gum, nut butter and coconut butter in a food processor and blend until the mixture resembles breadcrumbs. Add the egg and blend again. With the mixer running add one tablespoon of water at a time until the pastry just starts to come together. Lightly knead the pastry until combined, then roll out about 3-4mm thick on a well floured surface. Use a pastry cutter to cut 12 rounds, each slightly bigger than the indents on your tart tin. Carefully press the pastry rounds into the non-stick tart tin and then fill each one with a rounded teaspoon of the mince meat – be careful not to overfill them otherwise the mincemeat will boil over the side in the oven. Cook for 10 minutes, allow to cool slightly in the tin, then transfer to a cooling rack. To prepare a great beetroot booster, juice one medium beetroot, one to two apples and two to three medium carrots (no need to cook the beetroot first). To increase its medicinal value, add a teaspoonful of lime juice to beetroot juice. Fresh beet juice mixed with a tablespoonful of honey and taken every morning before breakfast helps the healing of gastric ulcer. Traditionally beet juice, combined with the juices of carrot and cucumber, is one of the finest cleansers for the kidneys and gall bladder. 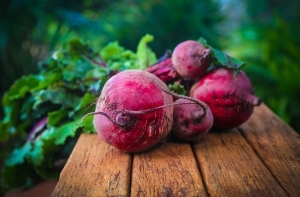 Beets contain an abundance of minerals: potassium, phosphorus, calcium, sulphur, iodine, iron, manganese, chlorine, and copper, as well as traces of the rare metals rubidium and caesium; vitamins B1, B2, niacin, B6, B12, C, P, and beta carotene; flavonoids; natural sugar, and a good quality and quantity of amino acids. Always use organically grown beetroots. See your natural health professional for any health related questions. …gets its colour from frozen peaches plus carrot and orange juice, while the fresh ginger packs a flavourful punch. The ground flaxseed is rich in omega-3 which can help lower blood pressure, ease digestion and help make your skin glow naturally this summer! If possible use whole flaxseeds and grind them yourself, this is the best way to ensure the omega-3 is fresh. If you can’t get whole seeds look for ground flaxseeds (or flaxmeal) in the natural-foods section of large supermarkets or in natural-foods stores, they can be stored in the refrigerator or freezer. This recipe couldn’t be easier and is packed with natural goodies! Basil is known to have antioxidants that may protect the body from premature aging and age-related problems. It also contains the flavonoids orientin and vicenin, which are plant pigments that may block your cell structures from oxygen and radiation damage. Basil can help with constipation, stomach cramps and indigestion. It can be used to give relief from the common cold, flu and may have application for asthma, bronchitis and sinus infections. It’s delicious and a great digestive support too. To save time you can switch the mango for a frozen banana (peel before freezing). The probiotic powder is beneficial for the immune system and GIT (gastrointestinal) health. The Udo’s or flax oil is high in omega 3, which can boost concentration and balance the nervous system. 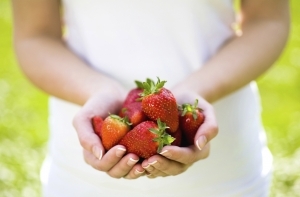 Strawberries are a delicious summer favourite, make the most of them while they’re in season, as they are also a great antioxidant and high in vitamin C.
Some top tips to naturally help with common holiday ailments. Travellers’ Tummy, Travel Sickness, Sunburn, Stings. Avoid travellers’ tummy by topping up your good bacteria with a probiotic for two to four weeks before you travel and then continue while on holiday. Ginger is an absolute must in the battle against travel sickness.. Grate half an inch of ginger with a teaspoon of honey into a mug of boiling water and sip when cool. If you have a history of travel sickness, try taking a zinc supplement for a week before you travel. If travelling by air, then manuka honey lozenges can help to prevent ‘ear-pop’ on take-off and landing. They also create a barrier to germs circulating on flights and calm and soothe dry mouth and throats in air- conditioned environments. Try to avoid getting sunburned, but if you do, then try a tepid bath with three to four chamomile teabags for mild cases. Try applying aloe vera gel two to three times a day as it has proven pain relief and anti-inflammatory properties and is extremely effective at calming the skin. Get immediate medical help if you feel very nauseous, dizzy or start vomiting. Beach or pavement cafes are prime sites for wasp and bee stings. For wasp stings, mix a teaspoon ofsalt with a few drops of vinegar for instant relief. For bee stings, remove the stinger carefully with tweezers, cut a raw onion in half, hold it to the sting for up to 15 minutes – this should provide immediate relief and help with the swelling. To keep other bugs at bay use a repellent with acitronella or tea-tree base. Add sun chlorella, a dried freshwater green algae, to the smoothie recipe below for a sustained energy boost for the whole day. 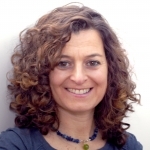 Nadia Brydon has been using the 100% natural plant source, sun chlorella, throughout her life and has recommended it to patients for the last seven years with great results. Ingredients must be fresh and raw – no frozen, tinned or dried products. Consume half before breakfast and second serving, refrigerated or placed in a cold thermos flask, to be consumed before lunch.